The present importance of the Museumsinsel began when the Altes Museum was built to the designs of Karl Friedrich Schinkel in 1824-28. A plan to develop the part of the island behind this museum was drawn up in 1841 by the court architect, Friedrich August Stüler, on the orders of Friedrich Wilhelm IV. The first element of this plan to be built was the Neues Museum (1843-47). The next step did not take place until 1866, when the Nationalgalerie, the work of Johann Heinrich Strack, was built. 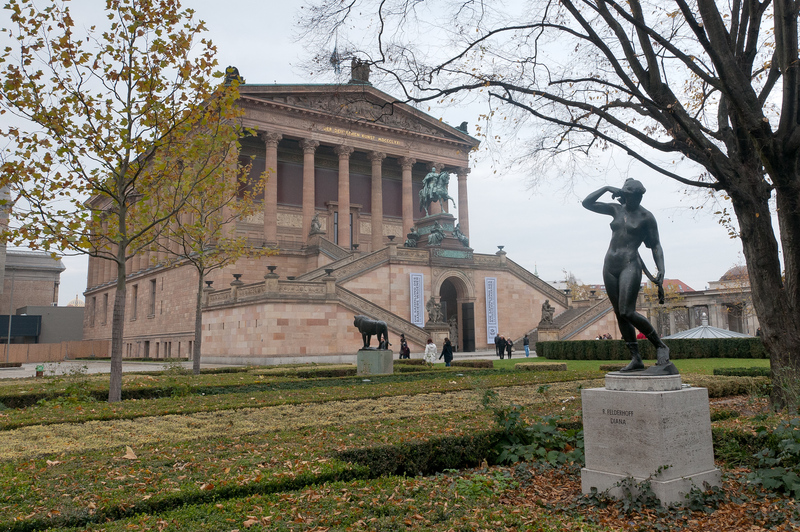 Another two decades passed before the Kaiser-Friedrich-Museum (now the Bodemuseum) was built in 1897-1904 to the designs of Ernst von Ihne, and Stüler’s plan was completed in 1909-30 with the construction of Alfred Messel’s Pergamonmuseum. Museum Island is one of the cultural and tourist highlights of Berlin. 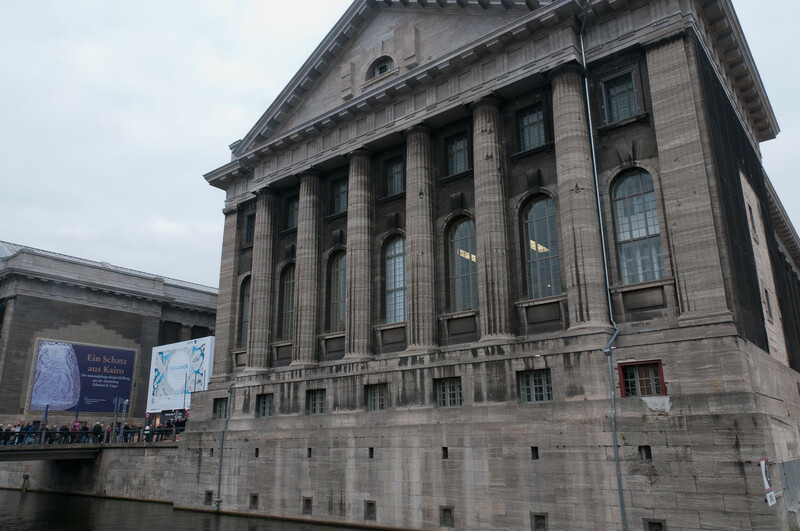 The island is in the middle Spree river and is home to five significant museums: the Altes Museum, the Neues Museum, the Alte Nationalgalerie, the Bode Museum and the Pergamon Museum. It is the only museum(s) that I know of that have UNESCO World Heritage status. The Louvre and other important museums in the world are have not been accorded special World Heritage status. One unique thing about the museums, and unlike much of the rest of Germany, is that the damage caused during WWII has been kept. You can still see bullet holes on the facade of many of the buildings. 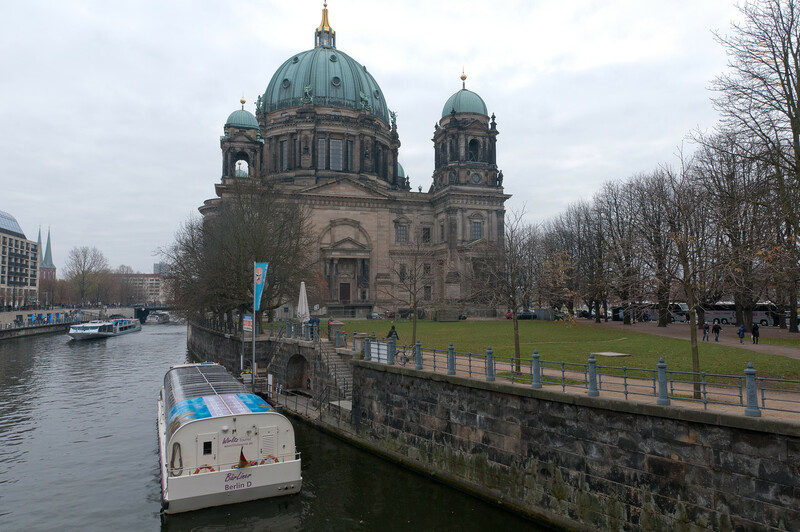 Getting to Museum Island is very easy if you are in Berlin. It is accessible by U-Bahn and bus. Berlin Museum Island is a UNESCO World Heritage Site known for its cultural value and was inscribed in the list in 1999. The name Museum Island refers to the northern part of an island located along the Spree River within Berlin’s Mitte district. The island is also where the old city of Colln is located. It is known as such for having a unique and internationally significant collection of museums and galleries. There are also museums and temple-like buildings that contain treasures from over 6,000 years of human history. The Museum Island is located within the historical center of Berlin. Hence, it is the main feature of the city’s museum network and is the largest cultural investment project it has seen to date. One island, five museums. That is what Berlin’s Museum Island has to offer its guests. Locally known as Museumsinsel, it is a treasure trove for history and cultural buffs out there. The five museums feature works from notable artists and treasures that date back to the time of Byzantium and Ancient Egypt. According to John Strang, a Scottish historian, it would take several days in order to see all of the artistic treasures on display at the five museums on this island. But when Strang made this pronouncement, there was only one museum on the island – Museum of the Ancient World. Over the years four new museums were built and they each had their own treasures to offer, giving more culturally significant to this island, which eventually earned the attention from UNESCO. The Altes Museum (Old Museum): This museum was built and completed in 1830. It was built for after the orders of Karl Friedrich Schinkel. The Neues Museum (New Museum): This museum was completed in 1859 and was designed by a student of Schinkel – Friedrich August Stuler. This museum was destroyed during the Second World War but was rebuilt and re-opened in 2009. The Alte Nationalgalerie (Old National Gallery): This museum was completed in 1876 following the designs created by Stuler. This museum is where you will find exhibits of 19th-century art from Joachim Wagener after he donated them to the museum. The Bode Museum: This museum is located on the northern tip of the island. It was officially opened at the onset of the 20th century. It is best known for its sculpture collection, as well as treasures from the Byzantine and Late Antique art. The Pergamon Museum: This museum was constructed in 1930 and includes various showcases such as the Ishtar Gate of Babylon and Pergamon Altar. 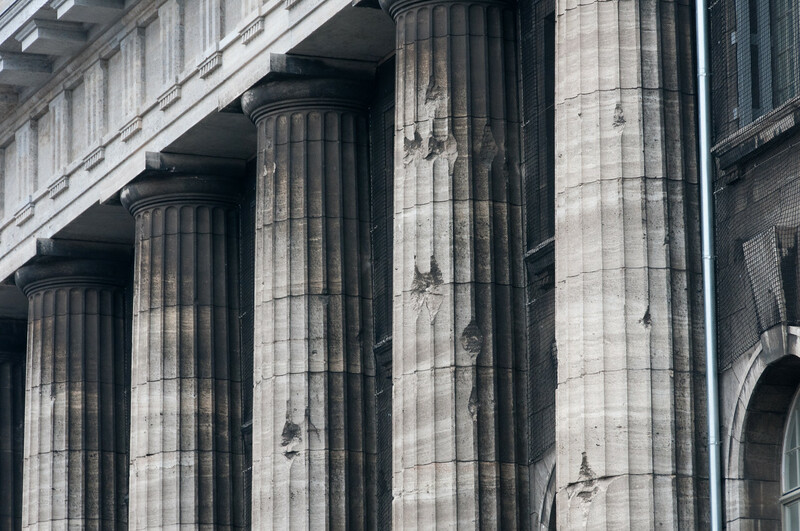 Humboldt Forum: This is located in front of the Lustgarten Park and will be located within Berlin Palace. This museum is expected to officially open in 2019. It will incorporate the Museum of Asian Art and Ethnological Museum of Berlin. All visitors below 18 years of age are admitted for free into any of the five museums. The regular rate is 18 Euros. On Tuesdays, Wednesdays, Fridays, Saturdays and Sundays, the museum is open from 10 AM to 6 PM. On Thursdays, the opening hours are extended until 8PM. The museums are closed on Mondays. It is accessible using all forms of public transportation. If you want to explore all of the museums, you can get the Berlin Welcome Card Museum Island. You can use it to explore all the museums for 3 consecutive days. Truly a museum buff? You can get the Museum Pass Berlin that gives you access to 30 other Berlin museums. I love that statue in the front! I hope you went to the museum with the ishtar gate and the pieces from ancient greece. It was phenominal.